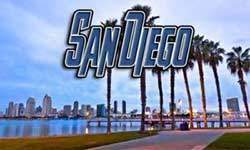 We have San Diego Party Bus Rentals for you. We feature luxury We feature Temecula Wine Tasting Tours from San Diego. 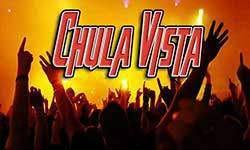 We will chauffeur you and guests to Temecula Wine Valley for a day of relaxation and mischief. If you are interested in Los Angeles we strongly recommend renting a limo for Medieval Times Dinner Theater, Disneyland, Universal Studios, Hollywood Game Shows or be a part of a live studio audience. If you and your friends aren’t looking for family fun you may want to go all out for our San Diego to Vegas Party Bus limo rental. Experience the excitement of Vegas in one our party buses. Don’t get bottlenecked in traffic because you will be relaxing in the cabin of one of our Sub-Zero cooled limos. We have a multitude of vehicles to make your event perfect. We currently have in our fleet 10, 15, 20, 25, 30, 35, 40, 45, and 50 Passenger Vehicles. The larger your vehicle the more value you will receive. Sharing is caring and the bigger your party is on our party buses the more you save. San Diego Party Bus Prices range from $100 to $300 per hour depending on the degree of difficulty your limo rental requires, the number of hours, miles are driven, and day and time. We promise affordable party buses limos because keeping you a future client is our goal. 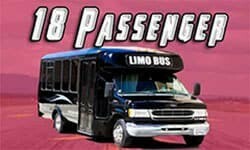 We offer group discounts corporate discount packages frequent members business alliances concerned getting the best limo bus rates, hourly prices, single price shuttles/transfers. Our San Diego Limo Buses are all Ford Motor Vehicles. Ford is rated as the best selling commercial vehicles. Other awards bestowed upon Ford Motor Company include “Most Ethical” of the auto manufacturers. Feel safe knowing your vehicle is built exceptionally well and contributes to a safer environment for the earth. 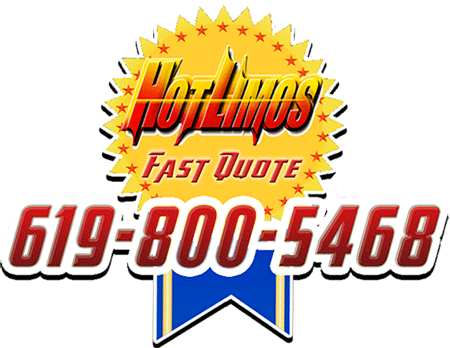 San Diego Hotlimos and Party Bus is a family business and is one of the oldest Auto Repair Shops in San Diego County (AA Auto Repair and Tire. Our success comes from honest service and hard work. Our attention to detail allows us to give you luxury limousines at an affordable price because. If you are unsure how to use us better we have some great ideas on our San Diego Hotlimos Services page. 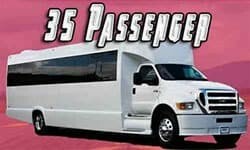 Our job is delivering a great limo bus party packages for you, but having satisfied clients is our ultimate goal. Make sure to check out these great bus charter ideas. We want to be San Diego Top Dog in limo bus fun. Our San Diego Limo Rentals may accommodate your casual event and/or high-end party. We take pride in our limousines and limo bus rentals which are perfect for your high-end or casual event. 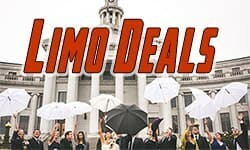 More importantly, if you are looking for a “Limo Service Near Me” we have you covered. 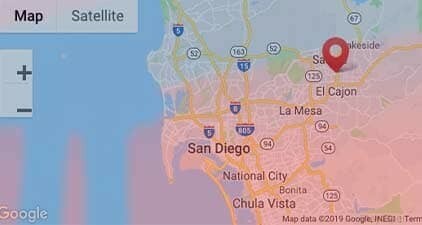 We are generally less than 30 minutes away from all of San Diego’s local communities and urban cities. Step into our BRAND NEW affordable limo rentals and service. 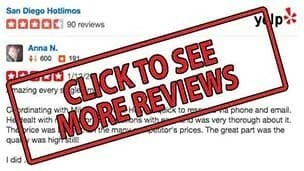 Keep in mind we have a near perfect rating for customer satisfaction on Yelp. Our limo bus charters are considered High-End Luxury at an affordable price. If you are wanting to tone it down a bit, try our San Diego Hummer Limo Service. 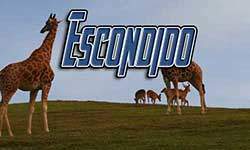 Our San Diego Limos can accommodate a casual event or fancy party. We take pride in our San Diego limo rentals so if you are looking for a “Limo Service Near Me” we have you covered. 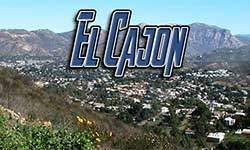 Generally, our clients are only 30 minutes away from most of San Diego’s local communities. Our affordable limo rentals service has you in mind and that’s how we keep our near-perfect rating and customer satisfaction on Yelp. 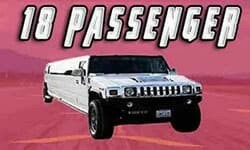 Our stretched limos feature our San Diego Hummer Limo Service and are perfect for guests of 18 passengers (children & teens), 15 passengers (adults). 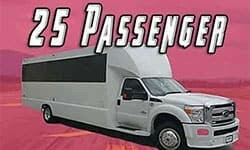 If you don’t want to travel with an entourage a stretched limo rental is perfect. San Diego Hotlimos has several packages for those intimate events: School Dances, San Diego Wine Tour, and Quinceaneras are great for our Stretched Hummer Rental. 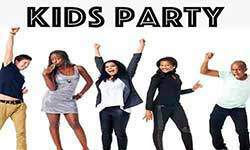 If you are looking to keep costs a bit lower we feature Birthday Party Specials for after work. Surprise your best friend after a long day of work. You and your co-workers will make someone important to your day. For as low $30 per person, you are creating an event that will last in your memories for years. Hotlimos offers great San Diego limo service prices with new luxury vehicles. For potential customers just let us know you are a first-time caller. We just may have a special limo at a special price. We offer Loyalty Discounts for frequent customers and discounts for longer charters. We are not the cheapest limo service in town and we aren’t the most expensive. 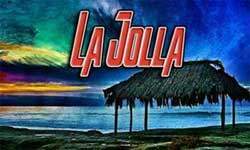 We do promise to give you a greater value than other companies in San Diego. Hotlimos prides itself on being an AFFORDABLE and DEPENDABLE hourly limo service. 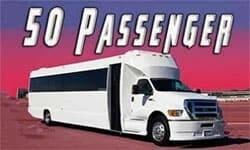 San Diego Hotlimos and Party Bus has NEVER lost or had our operating privilege revoked or suspended. We maintain our vehicles to the highest of industry standards and are members of the San Diego Better Business Bureau and maintain an A+ Ranking with them and many other 3rd Party Review sites for limousine transportation. Since we are all licensed mechanics we expect our limos to be operating perfectly. Our party buses are available to rent 7 days a week, 24 hours a day. We provide bus charters for groups of 5 to 50 passengers. We have a fleet of luxury party buses that can specifically cater to your special group needs. 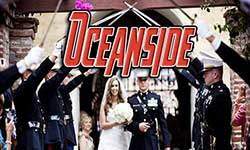 We offer bundled packages for Wedding/Bachelor/Bachelorette Parties.